Tow Truck Insurance Corpus Christi Tx – Big Discounts Available! Looking for great rates and service on Tow Truck Insurance in Corpus Christi and the surrounding areas? Then you have found the right company. Call Pathway Insurance today at 800-998-0662 to speak with one of our licensed insurance agents. If you prefer, you can also click on Corpus Christi Texas Tow Truck Insurance to request quotes and information twenty four hours per day! At Pathway Insurance we offer excellent options for Tow Truck Insurance in Corpus Christi, San Antonio, Dallas, Austin, Houston, and all over the State of Texas. Tow Truck Insurance Corpus Christi Texas – Know Your Coverage! Whether you operate an established towing business or are just getting your feet wet, it is important to know and understand your Texas Commercial Auto Insurance Policy. Knowing your policy means understanding what sorts of claims and actions fall under the policy’s protection and what sorts do not. Sometimes the coverage provided or not provided is not as easy to understand as you might imagine. What you might assume is covered by your Texas Commercial Auto Insurance coverage may actually be covered under a Garagekeepers Legal Liability policy or a Storage Location Insurance policy. 1. 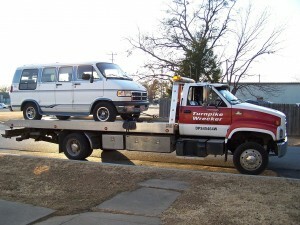 Provide as much information as possible to us when seeking tow truck insurance quotes. 2. Read your commercial truck insurance policy carefully as soon as it arrives in the mail! Naturally if you have questions as you’re reading your commercial truck insurance policy we are here to help. Tow Truck Insurance Corpus Christi Tx – Big Savings Available! Call us today at 800-998-0662 Monday through Friday 9:00 AM to 5:30 PM to speak with one of our trucking specialists. If you find our website after hours or it’s on the weekend click Tow Truck Insurance in Corpus Christi Texas to submit your information to us 24 hours per day seven days per week.